Initially conquered from about AD 455, this was the very earliest of the Anglo-Saxon kingdoms, made up of a mixture of Germanic Jutes and Angles together with Celtic Britons and even some Saxons. The Jutes were originally used as mercenaries by the controlling British forces. Later Kentish folk descended from an equal mixture of both races, Briton and Jute, since the invaders were never numerous enough to entirely displace the general population of Britons, but the kingdom's Jutish heritage was long remembered as being distinct from that of Anglo-Saxon England. The name Kent is the bastardised Jutish version of the original Romano-British Cantiaci / Cantii (post-Roman Ceint), and means 'Men of Kent'. At certain points in its history, the Jutes had joint rulers, with the lesser of them controlling the less important West Kent area which may even have been an almost separate principality at times (there are other instances of a kingdom having two simultaneous sets of rulers, even as far east as the Cheras of India). The (eastern) capital was the Roman city of Durovernum Cantiacorum, called Cantwarabyrig (modern Canterbury, 'fortress of the Men of Kent') by the Jutes. Modern Eastry was known as Eastorege, or 'Eastern Region', and Sturry was 'Storigao' or 'Stour Region', beside the river of that name, which was home to the early Kentish capital while Canterbury was still in ruins. A subsequent Jutish settlement was founded in Hampshire, on the eastern side of modern Southampton, with its people being known as the Meonware. It is this early east-west division in the kingdom that gave birth to the use of 'Men of Kent' for those settlers who were born to the east of the River Medway, and 'Kentish Men' for those 'lesser' folk to the west, more of whom would have been Britons or Saxons. Evidence points to Hengist (whose real name may have been Octa, which was later forgotten), having been a prince of Angeln, the homeland of the Angles who, during the period of the migration appear to have been overlords of the Jutes. Although not unquestionably proven to be the same man, this Hengist was very likely to have been a comrade-in-arms of Hnæf of the Danes until the latter's death at Finnesburg in Frisia. Both Hengist and his brother Horsa claimed descent from Wehta's Folk, and it seems highly likely that their reputation, confirmed by the events at Finnesburg about AD 448, would have preceded them, making them ideal warriors to hire as mercenaries. Hengist may have led them in revolt against their paymasters, but Horsa ruled alongside him until his death in battle with the British, and then Hengist's son Oisc took on the role of joint ruler until Hengist's death. Both Bede and Nennius confirm that Hengist and Horsa are Angles, not Jutes, but the bulk of the settlers who followed them were indeed Jutes (and Frisians). Probable prince of Angeln born circa 425 to Wehta's Folk. Hengist and Horsa are invited from Angeln to Britain by the High King, Vortigern (known to the English as 'Wyrtgeorn'), and land at Ypwines fleot (Ebbsfleet). Traditionally, they fulfil the terms of their contract by fighting back Pictish and Irish Scotti invaders and receive territory on which to settle on Ynys Tanatus (the Isle of Thanet in Kent). By now the new arrivals have seen how weak are the British defences and begin a takeover of the British kingdom of Ceint, aided by the many foederati settlements in key areas of the land, especially along the Saxon Shore forts and at Canterbury. They are probably further encouraged by the chaos in Roman Gaul following the murder of the magister militum Aetius. Hengist's polyglot army fights Vortigern at a place they name Ægelesthrep or Ægelsthrep (probably Aylesford or, less likely, Epsford, both in Kent). Horsa is killed, as is Cadeyrn Fendigaid, former king of the Pagenses. According to the Anglo-Saxon Chronicle, Hengist and his son Oisc take the kingdom, but Oisc may actually be an infant at this time and his title is simply to confirm his position as the later founder of the Oiscingas, the house of the Anglian/Jutish kings of Kent. If this is correct then it is not until about 470 that he becomes a warrior. Hengist sends out an invitation to Jutes in Europe to join him in the fight and the settlement of his new kingdom. While this probably includes Jutes in the traditional homeland in modern Denmark, it also seems to include the large numbers of Jutes who had migrated to Frisia and the mouth of the Rhine to escape Danish pressure in Jutland. These Jutes must have been the ones Hengist came into contact with during the Freswæl in Frisia about AD 448. 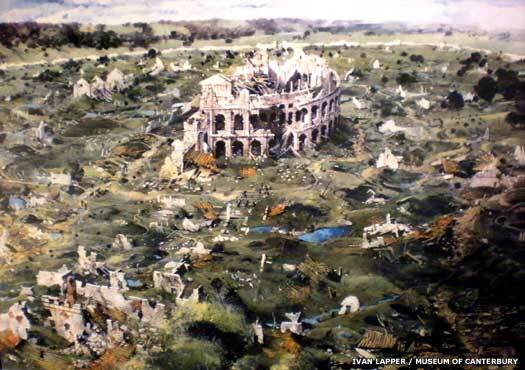 There are probably Frisians included in their number, all of which would explain the large number of archaeological findings in Kent which originate from the mouth of the Rhine. It is probably also during this period that a second wave of Jutes sails along the English Channel coastline until it reaches Hampshire, where it settles as the Meonware, a colony which is well-established by the end of the century (Rhineland Jutes who could not accept Hengist's leadership, perhaps?). After much hard fighting at a place the invaders call Crecganford (Crayford in Kent), and apparently heavy losses, the British abandon Kent. The Jutes are busy settling land in their newly-conquered kingdom, parcelling out territory, and apparently showing little taste for urban life at this time, leaving abandoned the Roman settlements including Canterbury and Rochester (Durabrivae). The Saxons who had joined Hengist in 455 also settle in Kent, but they have little impact on the Jutish nature of the kingdom and leave few traces. Some of them instead push further west to form early elements of the Middel Seaxe whilst, traditionally at least, many settle in West Kent to become the 'Kentish Men', those Kentish folk to be born on the western side of the River Medway. Hengist and Oisc fight the British at Wippedes fleot (location undetermined), and claim the slaughter of twelve British leaders against the loss of just one of their own thegns, Wipped. 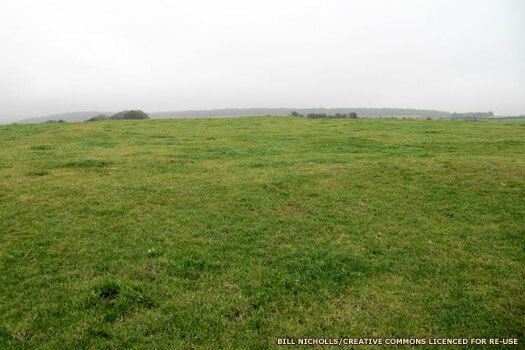 It seems possible that the site of the battle could be near to the Roman fort at Richborough, in the far east of Kent, which makes it unlikely that a British force has penetrated from the west of Londinium. Instead, and supported by archaeology, it seems that this is a mopping-up operation against a British enclave which may have held out in the fort and its environs for a decade. Romano-British belt buckles found at the site and in nearby Jutish burial grounds indicate that spoils of war are taken and reused as prized possessions for a time. Hengist receives his final mention in British history, despite the 'recorded' dates for his reign as the man who paved the way for the founding of the kingdom of Kent. Oisc can be considered to have become a warrior by this point, and he and Hengist fight the Britons, taking great spoil and forcing the British to flee 'from the English like fire'. This appears to describe the plundering that follows the successful securing of Kent, with warbands wandering far and wide in a free-for-all, but one which does not penetrate further than Hampshire, which is perhaps guarded by Ambrosius Aurelianus. Son of Hengist, according to Bede. This is the traditional date for the founding of the kingdom under Oisc, which may explain Hengist's given date of death. His actual death is not recorded, so it seems likely that it is a peaceful one. This is also the last recorded entry for the Cantware in the Anglo-Saxon Chronicle until 565. The battles against the Britons move further westwards as they lose the south coast to the Suth Seaxe, Londinium to the Middel Seaxe and their Suther-ge (both of whom remain under Kentish influence), and the Upper Thames to the Thames Valley Saxons and Ciltern Saetan. It is also highly possible that the Cantware are involved in the Mons Badonicus defeat at Caer Baddan of circa 496 and are so weakened that they are simply unable to mount any further grabs for territory for a generation or more. Also, the influx of Saxon fighters may have slackened since 460, when the prospects for soldiers of fortune may have seemed better in the remnants of Roman Gaul, coupled with the fact that the Britons are apparently starting to gain the upper hand. Instead, Oisc concentrates on building a solid kingdom out of the land-taking of Hengist's time. Son, according to Bede. Ossa? The name Octa has also been identified with Hengist, and may have been his true name (with Hengist being a nickname of a style that had been popular at the time). If so, then either the name of this king has been forgotten in the general confusion with early Kentish names, or it is this man who is named Oeric, as mentioned only by Bede, a name that is usually linked to Oisc. Another possibility is raised by the Historia Brittonum, which names Ossa as the son of Octha, thereby pushing Oisc into third in the line of succession. Eormenric appears to be the one to assume formal control of the East Seaxe, who have been settling the territory north of the Thames since about AD 500. Son. Bretwalda (591-616). First A-S Christian king. Died 24 Feb.
Æthelbert is defeated in battle by Ceawlin of the West Seaxe at Wibbandun. This is notable as being the first recorded conflict between two groups of invaders, rather than a battle against the native British. The location of 'Wibbandun', which can be translated as 'Wibba's Mount', has not been definitely identified. At one time it was thought to be Wimbledon, but this is now known to be incorrect. Instead it seems likely that the battle takes place near the boundary between Hampshire and Berkshire, probably disputed territory between Kent and the West Seaxe. It seems likely that the aggressive Ceawlin is securing his rear before mounting renewed attacks against the British to the west. Two eorls, Cnebba and Oslaf, fall (their names suggesting an early Kentish source for this account), and the defeat seems to mark the loss of western Suther-ge (the Kentish system of lathes is never as firmly established in the west as it is in the east of the Suther-ge territory). Æthelbert places his sister, Ricola, on the throne of the East Seaxe as the wife of Sledd. The Cantware still claim overlordship of the East Seaxe at this time. The usurpation of Ceawlin of the West Seaxe by Ceol, his nephew, gifts the Bretwaldaship to Æthelbert, his only realistic rival for the title - if he does not already have it, as suggested by the Anglo-Saxon Chronicle and its reference to Æthelbert being 'baptised' early in his reign, ie. about 588. It is possible that Æthelbert may be involved in the Woddesbeorg slaughter of Ceawlin's forces, as Ceol seems unlikely to be strong enough to achieve such a victory unaided. It is another century before the West Seaxe present any serious threat to Kent. Augustine is sent by Pope Gregory to England to establish the Catholic church and Christianise the Anglo-Saxons. He is cautiously received in Kent, thanks to Æthelbert's Christian Frankish wife (although there are signs that Æthelbert himself may have strongly suggested beforehand that the mission be sent), and establishes the archbishopric near Canterbury. He and his followers are allowed to worship at the small church of St Martin's, the only Anglo-Saxon church in existence at this time, before founding a more formal seat for the archbishopric in Canterbury itself, which is probably when the Roman ruins are first properly reoccupied and the city is brought once more into use. The ruins must be extensive, however, as the Roman street pattern is almost completely replaced. 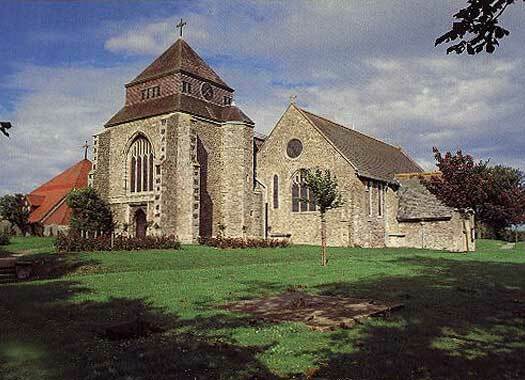 The first meeting takes place between the Roman Church in the form of St Augustine, and the Celtic Church (the descendant of the former British Church of the Roman empire period). It is arranged when Æthelbert uses the Hwicce as intermediaries, as they possess a church organisation which seems to have survived intact from prior to the Saxon takeover of the region. The meeting occurs at a place Bede names as St Augustine's Oak, on the border between the Hwicce territory and that of the West Seaxe (somewhere on the eastern slopes of the Cotswolds, perhaps near Wychwood in Oxfordshire, which means the 'Hwiccas' wood'). The meeting goes favourably for Augustine. A second meeting is quickly arranged, although perhaps not in the same year. This takes place at Abberley in Worcestershire, probably close to the border between the Hwicce and Pengwern. It is attended by seven bishops of the Celtic Church, along with many learned monks, mainly from Bangor-is-Coed (in Pengwern). The Britons are not impressed with Augustine's imperious manner and the meeting ends in disappointment for the Roman envoy, with no agreements of cooperation or unity being reached between the two churches, especially in regard to the important question of the calculations for Easter and evangelising the pagan English. The failure is not only a blow for the Roman Church in England (from which it eventually recovers), but also for Æthelbert's prestige as Bretwalda (which does not recover). From this point, Kent undergoes a slow but unstoppable decline in importance and influence. Son. m Imma, possibly the dau of Theudebert II of Austrasia. Eadbald's claim of overlordship over the East Seaxe is rejected by his three cousins who become joint kings there at the same time as Eadbald becomes king of the Cantware. The loss also means that the Middel Seaxe are removed from Kentish control. However, Eadbald is quickly converted to Christianity and takes a Frankish wife, and Kent remains a beleaguered bridgehead of the Roman world in England. Edwin of Deira and Bernicia succeeds Raedwald of the East Engle as the first Bretwalda north of the Humber. He never extends his bretwaldaship over Kent, treating it as a fellow kingdom and its king, Eadbald, as his peer. Son. Passed over for Eorcenberht. Eorcenberht dies during an apparent epidemic which sweeps the country. Only in his forties, his death takes the kingdom by surprise. Deusdedit, archbishop of Canterbury, is also taken suddenly. The accession of the king's son, Ecgberht, is challenged by the heirs of Eormenred - namely his sons, Æthelred and Æthelberht. The 'conspirators' are subsequently murdered at the royal vill of Eastry (near Sandwich in East Kent), but damage is done to Ecgberht and the moral authority of the Oiscingas. Son. Brother-in-law of Wulfhere of Mercia. Died July. Son of Eormenred. Killed by Egbert along with Æthelberht. Even this long after the reign of the great Æthelbert, the authority established during his Bretwaldaship can still be felt in Kent, as Egbert is able to exercise his authority as far to the west as Chertsey in Suthrige, where he establishes an abbey. The decline has already set in, however. Egbert's sudden and unexpected death brings the kingdom to a crisis point. He and his wife die of causes unknown, perhaps a renewal of the epidemic of 664. Neither of his sons are of an age to rule, and the Mercians under Wulfhere, hoping for an opportunity to intervene in Kent's affairs, leap at the chance. Suthrige is detached from Kent and the kingdom itself is seemingly invaded and occupied by the Mercian Bretwalda. It takes perhaps eighteen months for the Cantware to rally behind Egbert's only realistic successor, his younger brother Hlothere, and Wulfhere's death in 675 leaves the enemy in disarray. Hlothere secures the kingdom's borders. Brother of Ecgberht. Died 6 Feb 685. It is not know precisely when it happens, but by the later years of his reign, Hlothere controls Lundenwic (London), the first Kentish king to do so since 616. He maintains a hall there and his presence suggests that he has also regained Suthrige for Kent. By this time he has also agreed to share power with his dispossessed and ambitious nephew, Eadric. This is the first time that such an experiment has been attempted in the kingdom, and it leads to disaster. Son of Egbert. Sub-king of West Kent. Became king of Kent (685). Eadric, bitter that Hlothere holds what he sees as 'his' throne, betrays the king by making an alliance with the Suth Seaxe. He encourages them to attack Kent, possibly using as a carrot the somewhat disputed settlement of the Jutish Hæstingas (in the modern Hastings area, to which they have migrated from the Isle of Oxney region in Kent - see map link, right, for a map of the Oxney area). The South Saxons also appear to be sympathetic to Mercia (or perhaps even allied to them), while Kent's sympathies lie with the West Seaxe, so the attack is also part of the larger sweep of political manoeuvring in England. Hlothere is killed in the ensuing battle and the kingdom is plunged into anarchy after about two centuries of near-constant peace. Eadric's reign is brief and unhappy. Formerly sub-king of West Kent (684-685). Kent becomes a battleground between Mercia and the West Seaxe. Eadric is killed, although whether in the attack or obscurely in the chaos following is is unknown. Kent is ravaged and occupied by Caedwalla of the West Saxons, and he leaves Mul, his brother, to rule the kingdom in his name. Hlothere's gains of Suthrige and Lundenwic are stripped away. Ruled in the name of the West Seaxe. Killed. With no candidate to lead them (Egbert's second son, Wihtred is probably still too young), the Cantware rise up spontaneously and Mul, with twelve of his companions, is trapped and burned to death in a house. Caedwalla responds by laying waste to the country but to no effect. Realising his time is up (he is suffering from a serious, and eventually fatal, wound suffered during his attack against the Wihtware), he abdicates and his successor, Ine, withdraws West Seaxe forces from Kent. The Cantware are in no condition to resist when Mercia takes a turn at dominating the kingdom. It seems that the Mercian vassal, Sighere of the East Seaxe may govern for a short period, perhaps before Æthelred of Mercia appoints a grandson of Eormenred (probably by the Kentish Æthelred of 664) named Oswine to make a brief and inglorious appearance as a puppet ruler in the mistaken belief that the Cantware will accept him as king because he is one of their own. King of the East Seaxe. A Mercian client. Son of Æthelred? King of East Kent. Mercian puppet. Oswine appears to be the senior partner in power-sharing with Suaebhard (or Swæfheard, or even Waebheard). He is the son of Sæbbi of the East Seaxe. Some modern sources claim he is joint king of Kent in 686 whilst others say he becomes king of West Kent in 688. A misreading of the his dates also suggests he could have ruled in 676. His 'reign' and that of Oswine are under the overlordship of his father and of Mercia. Oswine governs East Kent as little more than a Mercian puppet. He signs his last charter in 692 but may remain king up to 694, after which he is expelled by Wihtred. His fate is unknown, suggesting a peaceful death, albeit not in Kent. East Seaxe sub-king of West Kent, and perhaps all of Kent. The post of archbishop of Canterbury is vacant for a little over two years following the previous incumbent's death. The reason is the political disturbance between Oswine, Suaebhard and Wihtred, pursuing their attempts to hold onto or gain power. The youngest son of King Egbert, Wihtred, has probably been sheltering in Sheppey with his grandmother, Seaxburga, who is abbess at the endowment there. About 690 he is apparently old enough to begin an attempt at freeing the kingdom. Oswine is ousted from the east, although the details are unknown. Suaebhard claims authority over all of Kent, signing himself as 'rex Cantuariarum', although is seems possible that the north-east is free of his control. East Seaxe puppet ruler claiming all of Kent, but this is unlikely. Wihtred succeeds in freeing Kent of all foreign usurpers and vassals. Suaebhard must already have fallen back on West Kent, where he could hope for some protection from his father and his Mercian backers, but eventually he is kicked out entirely. Wihtred rules completely independently of outside influence and at peace, primarily because (in 694) he comes to terms with Ine of the West Seaxe over the killing of the royal prince, Mul, in 687. The two kings agree on the borders of Kent, Suthrige and the Suth Seaxe (which confirms the Kentish loss of Surrey, along with the disputed Jutish Hæstingas territory, of which only the Isle of Oxney remains in Kent). Together, the West Seaxe and Kent hold the line against Mercia in this period, limiting its ability to interfere south of the Thames. 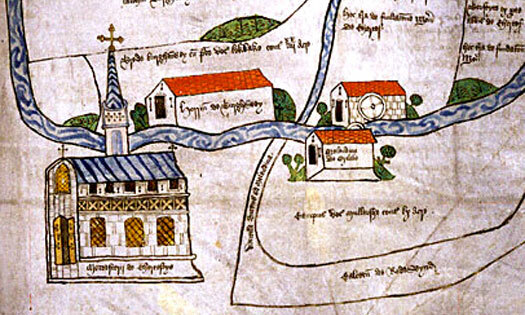 Wihtred founds St Martin's Monastery in the old Roman Saxon Shore fort of Dubris. This is the first of the priory's four homes in the town before the Dissolution. Wihtred bequests the kingdom to his three sons. It is an unusual decision as the only previous time it had been tried it led to the disaster of Eadric betraying Hlothere. This time it appears to work, with each son taking his own districts to govern. Alric is obscure and vanishes from the scene fairly quickly, perhaps disposed of by his brothers who then settle down to rule harmoniously in a kingdom at peace. Æthelbald of Mercia is supreme in the south, but spends much of his time harrying the West Saxons. Kent is left alone under the protection of the church at Canterbury. Son and senior king, probably governing East Kent. Brother. Sub-king of West Kent (and regent of East Kent from 747). Brother. Possibly in West Kent. Obscure and disappeared quickly. The matter of who rules, and when, between Æthelbert and Eadberht is a confusing one. With the end of Bede's Historia ecclesiastica gentis Anglorum the detailed chronicling of Kent's history also ends, and one of the few sources remaining are names on charters. The above dates are the best conclusion that can be drawn from the available evidence, which suggests that Æthelbert largely withdraws from society from about 747, becoming a recluse and happy to leave the affairs of state to his brother. Eadberht becomes the principal authority in all of Kent, and appoints a new sub-king to manage West Kent. Son of Eadberht. Sub-king of West Kent. Sub-king of West Kent? Later king of Kent (762-764). Eardulf is mentioned only in 747 and 754, so it is assumed that he is dead by 762, and perhaps even by 759, when Eanmund is named on a charter. In fact, the piety of the church may be of increasing influence in Kent just as it is in the Northumbrian royal house at this time, and Æthelbert especially is thought not to have married. He and Eadberht appear to die within a few months of each other in 762, and they are the last of the Oiscingas (Eskings). There is no strong successor lined up to take over, but the Eanmund of 759 may be a mistranscription of Ealhmund, a person who plays a major part in subsequent events, starting with what appears to be his role as elective king - assuming the role but unconfirmed by nobles or Canterbury. Elective king of Kent, but not of the royal house. No narrative of events survives, but it seems that with the royal house extinct, princes from cadet branches of the West Saxon royal house are chosen. It would certainly be in the interests of both kingdoms to strengthen the line against the threat of a dominant Mercia. Sigered is probably the first such candidate to be prepared as an heir. His name suggests an East Saxon background, but he is no Mercian vassal. Instead he may be a brother of Sigeberht, briefly ruler of the West Saxons (756-757). West Saxon prince? Sub-king of West Kent. Returned in 778. An inner core of notables acts as chief councillors for the kingdom. The most prominent amongst them is Balthard, who witnessed a grant in 727 and has acted several times in Æthelbert's name over the years in East Kent. He also appears to act as regent for Eanmund/Ealhmund who, under the latter version of the name, is another prince of the West Saxons, son of Eafa, son of Eoppa, son of Ingeld, brother of King Ine. Already manoeuvring his own candidates for the Kentish throne in order to keep out the West Saxons, Offa makes a sudden visit to Canterbury in 764. Sigered is deposed, as is Ealhmund, (although both return at a later date), and Balthard disappears from records. New rulers replace them in the form of Heaberht and Egbert, both Mercian dependants (although the latter is certainly not a pawn). Offa's imposed rulers come from the Kentish nobility, probably descended from the Oiscingas in the female line. Offa is unable to prevent the election of a staunch supporter of Kentish independence to the office of archbishop of Canterbury. Jænberht, former abbot of St Augustine's, is one of the key players in the subsequent revolt against Mercia and remains an implacable opponent of Offa. Kentish noble. A Mercian sub-king of West Kent until 774. Offa signs himself 'king of all the English' on two charters which are intended to trap Jænberht, archbishop of Canterbury, into accepting the Mercian king's overlordship. He fails to refer to any Kentish king, seemingly annexing the kingdom. He meets with unexpected resistance when, supported by Jænberht, Egbert wins the backing of the Cantware and openly assumes control of all of Kent, acting in concert with the West Saxons. After a decade of subjugation, in 775 rebellion breaks out against Mercian overlordship. Declared the independence of Kent. The clash between Kent and Mercia occurs a year or so after the flag of rebellion is raised (shown as 773 in the Anglo-Saxon Chronicle), the respite probably due to Offa's entanglement with the West Saxons. By this time, Egbert has appointed Aldhun as reeve of Canterbury to liaise between the king and his kinsman, the archbishop. The king defends Kent at the Battle of Otford. The result is not given in the ASC, but despite certain slaughter on both sides in a conflict of mutual hatred, the Kentish line apparently remains unbroken. It is a great victory over the Mercians, but one that Offa will never forget. Ecgberht reigns in complete independence for about nine years, probably in alliance with Cynewulf of the West Saxons, and appears to be reconciled with those West Saxon princes whom he and Heaberht had displaced in 764. Sigered witnesses a charter in 778, and Ealhmund becomes the king's heir, naming his own son Ecgberht. Formerly sub-king of West Kent. Died 778. Kent's fortunes are reversed when Offa defeats Cynewulf of the West Saxons at Bensington. It takes five more years for Offa to turn his attentions to Kent, but everyone in the kingdom knows what lies in store for them. In this period Ecgberht dies, at an unknown point between 779-784, and Ealhmund succeeds him. Successor to Egbert, but exactly when or how is unknown. Ealhmund is killed (through circumstances unknown) and Kent is exposed to Offa's vengeance. The king's young son, Ecgberht, is whisked to safety with the West Saxons, his father's native people, and Reeve Aldhun goes overseas (many of his countrymen flee to the Frankish court of Charlemagne). 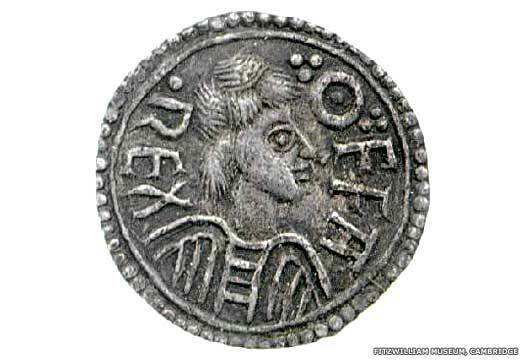 Ecgberht is soon ordered into exile by Beohrtric of the West Saxons, who is little more than a cipher for Offa. The kingdom is directly controlled by Offa, and is treated as a conquered province (along with that of the East Angles). Native nobles appear to have lands appropriated (just as William the Conqueror would do later). Son. Exiled to the West Saxon kingdom. Became king there in 802. Britain briefly pays host to a third archdiocese when Offa of Mercia raises the bishopric of Lichfield, as an act of revenge against Canterbury and a desire to halve its power. Offa creates a new archbishopric under Hygeberht, bishop of Lichfield within Mercia, which answers to him but which also receives the blessing of the Pope. Eadbert Praen is possibly an ordained priest (perhaps forcibly inducted by Offa), and almost certainly a Kentish atheling (prince). On the eve of Offa's death, he leads the Cantware in rebellion, and one of his first acts is to depose the archbishop of Canterbury, Æthelhard, who had previously been enthroned with Offa's support. The rebellion is critically weakened because it is without Canterbury's support, bereft as it is of its head. Captured by Mercia, blinded, hands cut off, and imprisoned. Eadbert's cause is hopeless. Cut off from Canterbury's support and threatened with anathematisation by the Pope as an apostate priest, he and the Cantware lack the strength of arms to resist Coenwulf's mighty army. The Mercians invade and, while there is some desperate resistance, the country is savagely harried as far as the land of the Merscware (Romney Marsh). Kent's independence is permanently and brutally extinguished. Eadbert Praen is captured and is subjected to the standard penalty at the Byzantine court for usurpation of the crown - he is blinded, his hands are removed, and he is imprisoned. Mercia again rules the kingdom directly through one of its own men, Cuthred. He is installed to ensure that the maximum amount of profit can be extracted from Kent. Sub-king ruling in the name of Mercia. Ealdorman governing East Kent for the Mercians. Upon the death of Beohrtric, king of Wessex, Ecgberht, son of the late King Ealhmund (killed in 786), accedes to the throne, and is welcomed by a people who are sick of Mercian interference. In Kent, Cuthred rules until his death, after which a replacement is deemed unnecessary. Ealdormen govern in Mercia's name, but for how long is unknown. It is possible that they remain in their positions until the 820s. Possible ealdorman of West Kent for the Mercians? Coenwulf of Mercia retains the overlordship of Kent, and it is in this year that he sells the manor of Graveney to Wulfred, archbishop of Canterbury, for the use of Christ Church, Canterbury. Shortly before the Mercian collapse, one Baldred seizes power in Kent, possible emerging from Sussex. Exactly when is unknown, but by 825 he seems to be fully in control of not only Kent, but also Suthrige and Sussex, opportunistically carving out a kingdom for himself made up of these lands. Ecgberht of Wessex gains revenge for his father's death when he defeats the mighty Mercians at the Battle of Ellandon. He swiftly intercedes in Kent, sending his son, Æthulwulf, with a force to drive off Baldred and seize the key to the whole of the south-east. Kent, the oldest of the English kingdoms, with the most prestige and with great wealth, is also home to the primary see at Canterbury. In Ecgberht, the Cantware happily received their lawful king, son of the last true Kentish king and a descendant in the female line of the Oiscingas. The sub-kingdoms of Essex, Sussex and Suthrige submit to him and are also ruled by Æthulwulf. Heir to the West Saxon throne. King of Wessex (839-856). Kent appears to lose control over Essex, which is controlled by Sigered II, a 'minister' of Wiglaf of Mercia. Mercia's temporary control over the kingdom is short-lived, however, as Wessex integrates it totally into its own territory. Essex is again governed from Kent by Æthelwulf. Following Æthelwulf's accession to the throne of Wessex, it is practice thereafter for the presumptive heir of Wessex to be placed in charge of Kent and the two south-eastern provinces of Sussex and Suthrige. All of these heirs have Kentish, not West Saxon, names. West Saxon sub-king. Second of Æthelwulf's sons. The city of Canterbury is sacked during a Viking raid. There are further raids on Kent in 855 and 865. Suddenly the coastal areas are becoming decidedly unsafe as the intensity and frequency of raids increases. 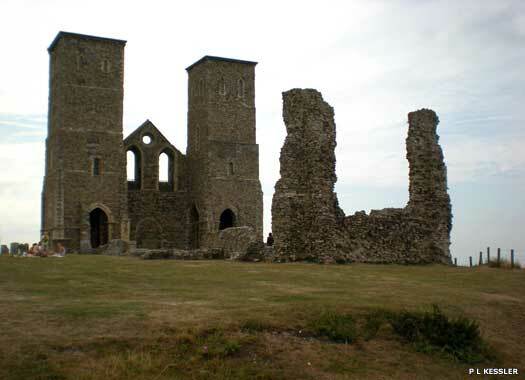 Monasteries along the coast, especially at Reculver, are virtually abandoned and much of their lands sold off. Heir to the West Saxon throne. King of Wessex (860-866). With Æthelberht's accession to the throne of Wessex, the position of sub-king of Kent is abandoned. Kent becomes a full province of Greater Wessex, along with the rest of the south-east. The wave of Viking attacks in the later half of this century, and the submission of large areas of England to the Danes further binds Wessex and Kent together as two of the few surviving regions under Anglo-Saxon control. That early east-west division between 'Men of Kent' and 'Kentish Men' (respectively) survives into modern times.